Judging by the bearded, ear-gauged, arm-&-neck-tatted appearance of the average Silicon Valleyite, I’d say the whole here’s-a-guy-wearing-a-lab-coat-so-buy-our-product routine is practically extinct. This routine may have worked 10 – 15 years ago, but now that the nootropic vulgarians have taken over the brain health market, we’re hip beyond belief: we no longer trust those pseudo-PhD tactics, seeing them for the shiny, superficial BS that they truly are. Unless, of course, the nootropic vulgarian look has become the new easy-to-sell mainstream brand, in which case Cebria might be onto something with its lab coat appeal. Regardless, my personal preference errs on the side of Procera AVH, which takes the straightforward, no-BS approach, advertising its ingredients with the acronym in its name — lab coats & ear gauges be damned. Marketing preferences aside, let’s see which supplement is the better. Cebria or Procera AVH: Which is better? Reason #1 – The neuropeptide theory sold by Cebria isn’t backed by the best science, or, in the case of some neuropeptides, any science at all. Reason #2 – Cebria’s neuropeptides count up to 17 ingredients, of which Lactose is the leading ingredient (you know, the sugar found in milk). Reason #3 – The overall dosage of the blend (445.3 mg) is not only small but obscured by the blend’s proprietary status. Altogether, this creates a giant cluster-eff of how the eff does this even work? mixed with and even if it does work, does it actually work under this poorly dosed proprietary blend?? If we’re putting Vegas money down on this product’s nootropic efficacy, there’s a fat chance we’d lose that money. However, on a more positive note: at least Cebria supplies a few B vitamins. Read my in-depth review on Cebria. Small ingredient count – ALCAR, Ginkgo, Huperzine-A. Hefty blend dosage – 1515 mg split three ways. Well-researched choices – Procera AVH’s ingredients are actual nootropics. I don’t know how you’d know this from the ingredients, but AVH stands for Acetyl-L-Carnitine (ALCAR), Vinpocetine, & Huperzine-A — a popular nootropic trio that’s viewed as a “brain energy” stack, particularly for the older brain health enthusiasts. However, Procera AVH swapped the vinpocetine for a potent ginkgo biloba extract. While younger users may benefit by the increased brain flow & acetylcholine activity with Procera’s ginkgo & hup-A, respectively, only older users seem to noticeably improve with ALCAR supplementation. Having said that, Procera AVH also comes in a “more extreme” Procera XTF Extreme Focus that seems to appeal more to the younger, brainier crowd. Read my in-depth review on Procera AVH. 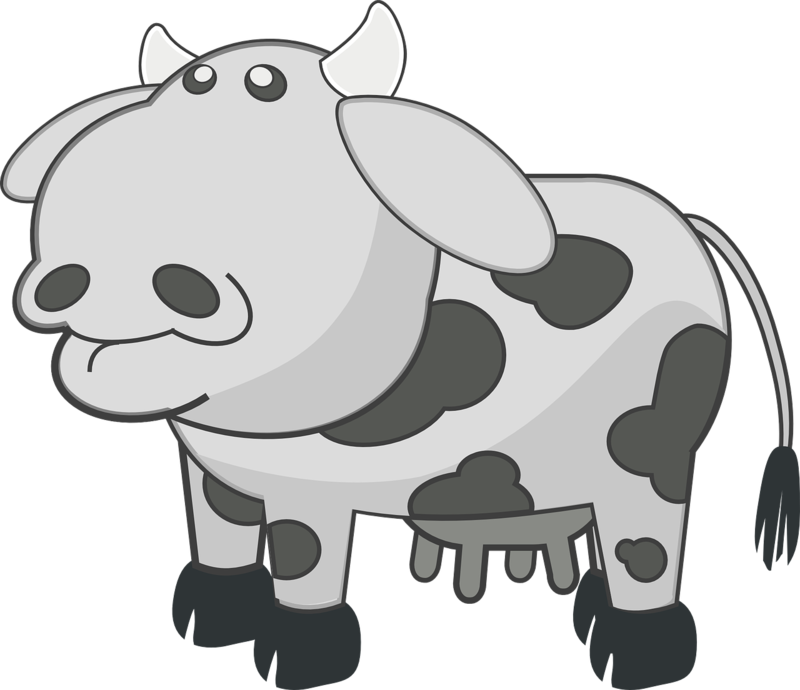 B Vitamins – I’m a B vitamin fan, so props to Cebria for at least fitting these three B vitamins in, even if they’re in their inferior forms, e.g., P-5-P is better than Pyridoxine HCl. More on B Vitamins. Neuropeptides – Age-related memory loss may partially correlate with neuropeptide reduction, so supplementing neuropeptides sort of makes sense — unfortunately, these proteins likely denature in the GI tract before having any positive influence on cognition. Acetyl-L-Carnitine – The ALCAR form of carnitine is able to cross the blood-brain barrier, delivering carnitine’s mitochondrial benefits to the brain. More on ALCAR. Ginkgo Biloba – Somewhat of a nootropic powerhouse, this highly researched herb seems to benefit cognition by improving circulation and working memory. More on Ginkgo Biloba. Huperzine-A – A semi-synthetic compound that seems to work by inhibiting acetylcholinesterase, an enzyme responsible for the breakdown of neurotransmitter acetylcholine. More on Huperzine A. Neither supplement screams potency nor quality, both in regards to the substance of their formulas and to their capsule casings — although, Cebria demonstrates even worse quality than Procera AVH with its use of unnecessary FD&C colorants. Do both supplements have bad potency & quality? No. At least Procera AVH doesn’t: there’s only so many ways to deliver ALCAR, Ginkgo Biloba, & Hup-A, and I’d say Procera does it properly enough — although they could improve their review rating by tossing the proprietary blend. Cebria not only hides its formula beneath a proprietary blend but it’s simply just not a good formula. The so-called “neuropeptides” are inherently impotent, denaturing during the digestive process before exerting any benefits on the brain. 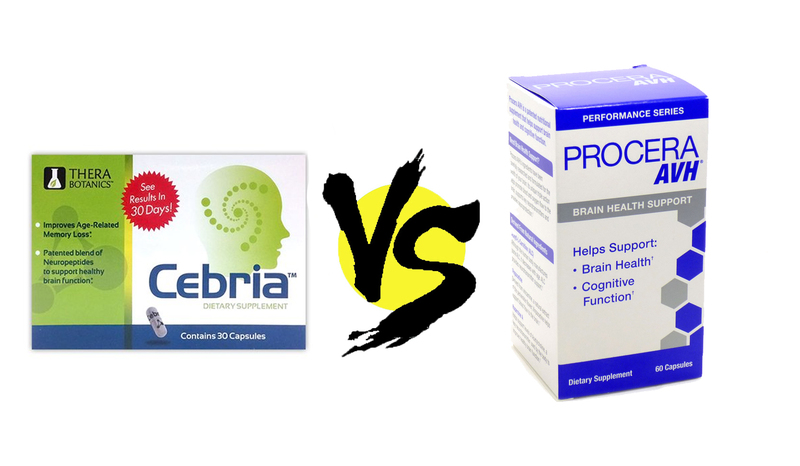 It’s a broken formula — potency & quality are essentially N/A in the case of Cebria, whereas Procera AVH at least passes as a competent nootropic supplement. Put simply, Cebria isn’t worth your time & money. And, yes, time is a factor here, given how many customer reviews report of Cebria buyers falling victim to Cebria’s scammy “Free Trial Offer,” which automatically enrolls & charges customers for their autoshipment program. Frankly, I’d have to come across a pretty bad supplement for Cebria to win one of these comparative reviews. Procera AVH is a smart, simple “brain energy” stack. While I can’t imagine Procera AVH restoring 10 to 15 years of memory loss as is often claimed, the supplement demonstrates a notable degree of synergy: ALCAR primes mitochondrial metabolism, Ginkgo improves fuel delivery, & Hup-A enhances brain cell regeneration. If you’re not down for the Procera brand of AVH, I still recommend checking out the stack elsewhere. This is an easy judgment call — not because Procera AVH is so outstanding but because Cebria is so bad. It doesn’t work, and would likely lose this comparison review if I were to pitch it against any other supplement that I’ve reviewed on this site. Not to say that Procera AVH doesn’t have any standalone merit. It does. And I’d say if Procera’s slightly modified AVH trio doesn’t quite get you going, then there’s always the Procera XTF Extreme, which stacks the AVH ingredients with B vitamins, Rhodiola, and caffeine. Not too shabby, eh.